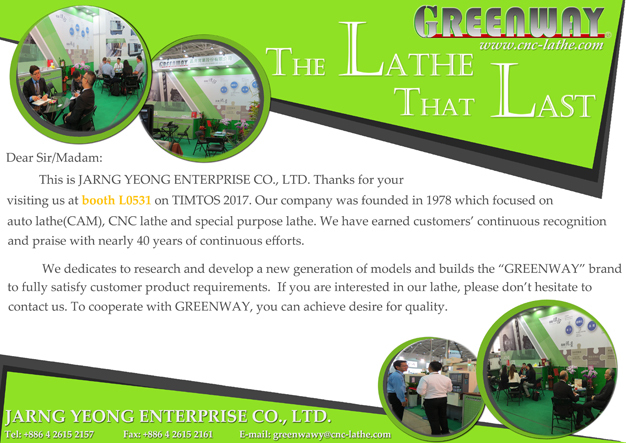 Thanks for your visiting GREENWAY at booth L0531 on TIMTOS 2017. We dedicates to research and develop auto lathe(CAM), CNC lathe and special purpose lathe. And we builds the "GREENWAY" brand to fully satisfy customer product requirements. If you are interested in our lathes, please don't hesitate to contact us. 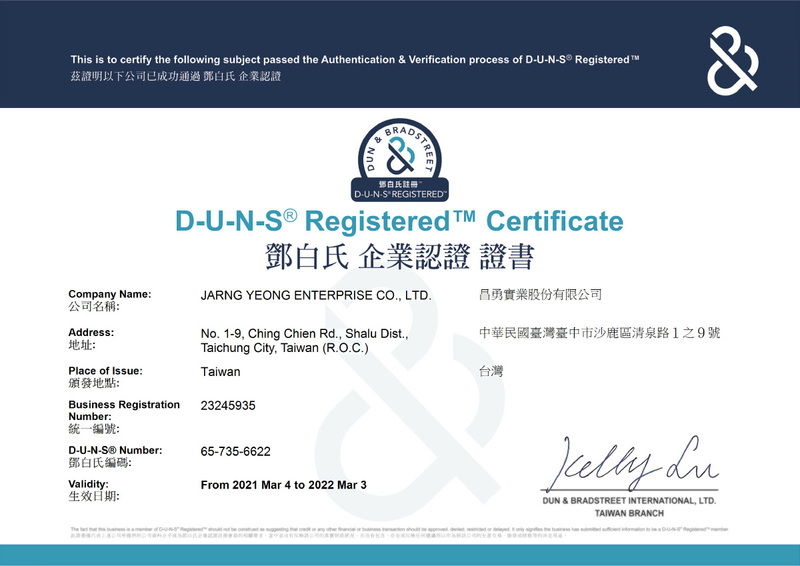 To cooperate with GREENWAY, you can achieve desire for quality.